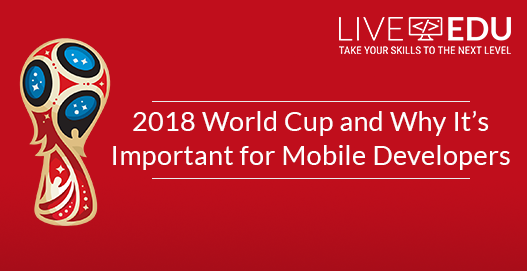 If you’ve been in mobile development for awhile, then you’re certainly aware that the mobile market is seasonal and events-oriented, whether it’s holidays, movie premieres or sporting events. People are extremely active on these specific dates and they simply like the associated content. If you follow big events, you’re aware of the 2018 FIFA World Cup starting on June 14th. And some of you are probably prepared for it. But, if not — you still have time. So what does this event actually bring to game and mobile developers? The answer is simple — it brings traffic, A LOT of traffic. #WC 2018 is trending on stores right now, which means that there are a lot of potential free users who would love to play your game or install your app, and the only thing you need to do is to make that app and do a proper ASO. Quality is a key, so make sure your app fits the majority of devices with no obvious bugs, and that it doesn’t crash and or have ads on every step. Ad annoyance chases users away and results in bad reviews for your app. High ranking of your app upon release due to the extra attention your upcoming app gets and the free users that the extra attention attracts. Immediate feedback if you opt to do a livestream while creating your app. Name recognition for yourself in the developer community. Learn more by reading this article and then jump onto our slack workspace and get started making money while you code!